Without making much noise Tecmo Koei presents a great strategy game with a lot of personality, a lot of content and a gameplay as slow as dense. Analysis of Nobunaga’s Ambition: Taishi. It has been with us for decades, although it is not precisely the most famous series by Tecmo Koei, rather the opposite. 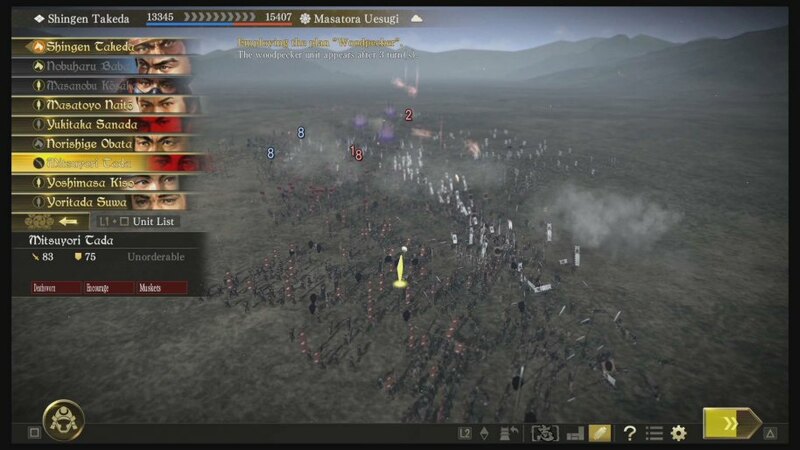 However, Nobunaga’s Ambition has been winning the favor of a select group of users over the years with fairly careful deliveries that offer a very curious and unique style of play. 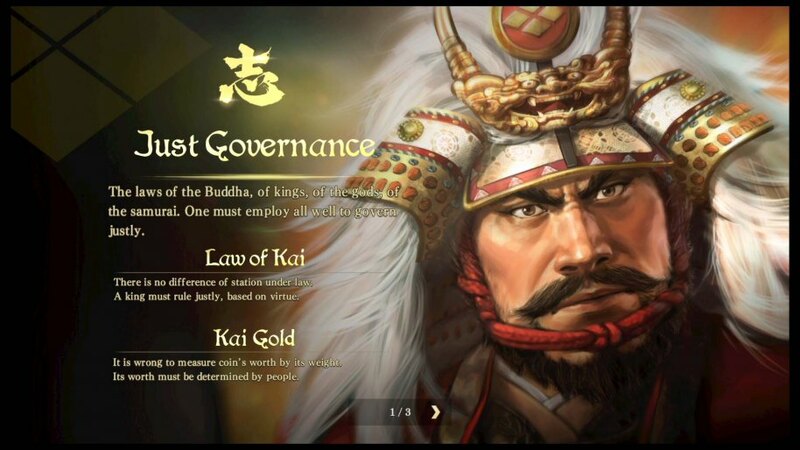 Turn-based strategy in a very interesting historical context (in the middle of the Japanese Sengoku era, that is, during the 16th century) is not something that can be enjoyed in another title that is available outside the Japanese borders, at least that I remember. In Nobunaga’s Ambition: Taishi , the new title that has just appeared on PS4 and PC via Steam, we meet again with the usual in this saga. A great historical veracity (although with licenses, as almost always happens with the titles of Tecmo Koei), options of all kinds that includes the personalization of characters, a multitude of game possibilities, a large amount of content … and a very quiet game play. The first thing we have to do as soon as we begin to enjoy this work is to choose the scenario in which we wish to be involved. Half a dozen different options (the Battle of the Takagi River, Dawn of Revolution, etc.) are at our disposal, which take place in different years and zones … and most importantly, the context and the situation that they make us face It changes radically. Then it is also necessary to choose the clan to which we wish to belong, families that are led by a specific person and have their own way of understanding politics, very specific ideals, a level of power and resources stipulated, etc. 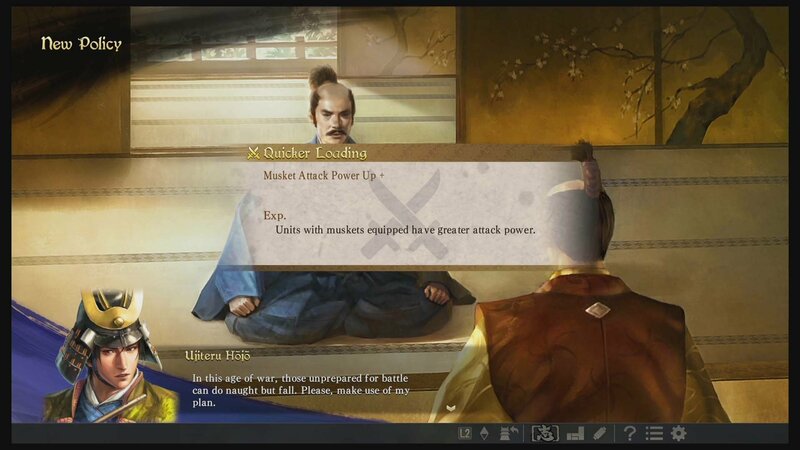 Anyway, among all this and other features offered by Nobunaga’s Ambition Taishi I can assure you that it is a highly regrettable title that offers many possibilities. Depending on our choice, the first measures are quite different … although our final goal is the same: unify Japan and conquer more than half of the territory with their respective regions and bases. Of course, the way in which we can carry out this final task varies enormously depending on our style of play and a large number of variables that are given as we progress. The mechanics and the game formula are tremendously paused and dense in their most literal sense. You must keep in mind that this is a work that to be enjoyed and squeezed in its entirety, it is necessary to invest many hours in the different menu screens and read a multitude of tutorials. And as expected in a title as niche as this, all the explanations and other texts that are shown on screen are in English , being necessary to enjoy a certain level in that language to understand each of the explanations and functions perfectly. They have been integrated into this production. 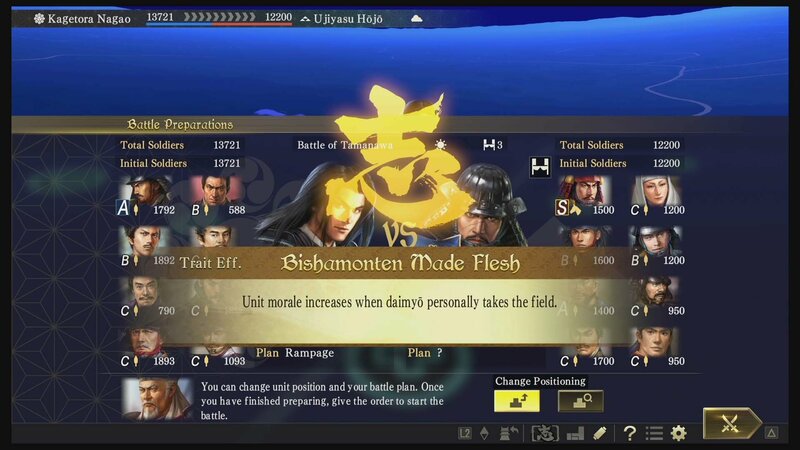 Nobunaga’s Ambition Taishi is a highly rejugable title that offers many possibilitiesOnce we begin to play, the first thing that remains clear to us is that the development of the game is well structured in two major phases (to name them in a way) that are called Planning and Execution . The first, Planning, encompasses a very large number of tasks that right now I explain that they have to do with different areas and branches, actions that allow us to take many decisions and prepare the ground for the battle, clashes that take place during the aforementioned Execution phase. The game play is based on two very well differentiated phases: planning and execution or conquest. On the one hand, as political leaders we must establish what kind of relationships we want to have with the rest of the regions and their corresponding rulers: friendly, aggressive, distant, simply non-existent … Some relationships that will possibly determine that our future is more or less peaceful. It is also very necessary to generate and manage our resources , so agriculture takes on a fundamental role. And not only in terms of its economic aspect is concerned, but this area in particular has a direct relationship with our army since the more we take care of our fields, better food (and, therefore, better performance) will have the troops of our army . The trade is another of our fundamental tasks that need to be considered, since establishing good trade routes may favor us in many different ways (economy, relations with other regions, etc.). Recruiting new allies also has its importance, especially when it comes time to assign a particular job or function, given that according to the characteristics of each character, their ability to perform some tasks or others change substantially. And we can not forget a fundamental aspect, the development of each of our cities and towns , being necessary to create and establish a multitude of facilities, which can also be enhanced when we see fit. It is possible to enjoy various scenarios or different situations and choose between several clans. We can choose them before starting the game. I can assure you that everything that has to do with this Preparation phase can take many hours. The decisions that we must take affect in a very important way the course of the title and, of course, the game mechanics that comes afterwards, the Execution , where we must demonstrate our aptitude when it comes to command our troops. In this phase, the most resembles Nobunaga’s Ambition: Taishi to the more traditional turn-based strategy games, being necessary to guide our troops in the battlefield to try to subdue the enemy forces. These combatsThey are not badly resolved and end up becoming quite entertaining. We can adjust the pace at which they pass as well as keep a little aside while they are developed in a fully automatic, although it is not very advisable because in this way we will lose too many units in combat in a “silly” way. Without being the best contests that we have ever lived, they are not badly taken. The general setting is quite achieved and puts us squarely in the Japanese Sengoku era of the sixteenth century. As you can see the depth that Nobunaga’s Ambition presents: Taishi is beyond doubt. Before us we have many tasks to carry out, battles in which to take sides and decisions to be taken, giving shape to a very complete title … but dense, incredibly dense and slow. Furthermore, it is not exactly an easy title, rather the opposite, offering a level of challenge more than striking in general. It is clear that it is not a game for everyone, but those who enjoy this kind of wise experience will surely know how to take advantage of this production by Tecmo Koei. In technical issues the game stands out especially for its great historical setting . 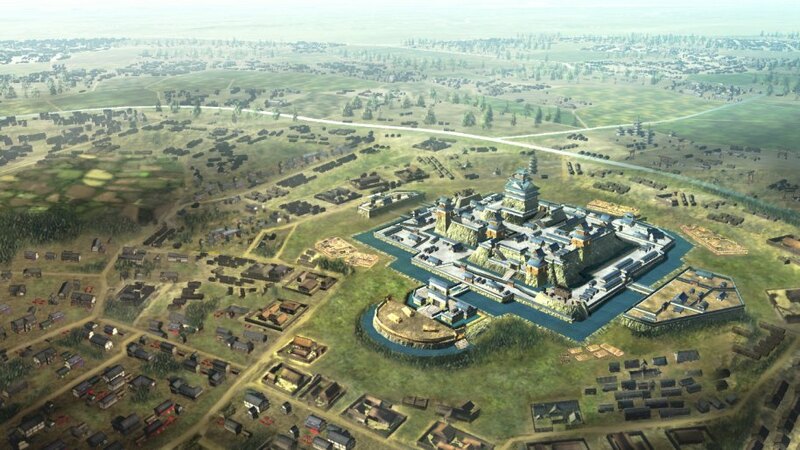 It is very noticeable that Tecmo Koei has wanted to take special care of this area in particular, offering us genuine maps and plans of the Japanese Sengoku era. Everything else (except the introductory scene in CG plan, very spectacular) is rather functional, as it usually happens in this type of titles, although at least the battle scenes are well recreated and the illustrations of more than 2000 characters that have a place in this game are striking. And finally, the sound section gives us a fairly good orchestrated soundtrack as well as a remarkable English and Japanese dub . This bold and dense experience playable in a strategic key will surely satisfy the vast majority of PS4 and PC users who, on the one hand, defend themselves perfectly with English and, on the other, who will invest a good number of hours in this Odyssey by Tecmo Koei. In addition to its unquestionable personality (it is difficult to compare it with other strategy titles), it offers a lot of content and possibilities, especially if you want to enjoy all scenarios and clans.